Last August Stuart and I travelled to Alberta, Canada for 10 days to visit our friend Kirsten. We flew into Calgary where Kirsten lives and spent the next week and a half driving around the province's world-renowned national parks: Jasper, Banff and Waterton. Kirsten organised the itinerary for our visit and it was the first stint of travelling that I've done that I haven't planned to the finest detail. It was so nice to sit back and let Kirsten show us around. She's Alberta born and bred after all and she certainly knows the best places to visit in the region. Calgary was our base for the trip and we stayed in the city suburbs for the majority time we were in Canada. On 2 separate occasions we camped overnight in the national parks and it's these road trips to the national parks and the related itineraries that I'm going to be discussing in today's post. Stopping overnight meant that we could really see the national parks and have an authentic Canadian road trip experience. Without Kirsten, we certainly wouldn't have been able to cover 3 national parks. After spending some time in Calgary city centre at the start of our trip, we drove to Jasper for a couple of days. On day 1 in Jasper we covered the Columbia Icefields Athabasca Glacier, the Glacier Skywalk, Athabasca Falls and Sunwapta Falls. In the evening we continued on to Jasper town, where we had a campsite reservation. We put the tent up before sunset and called it a night as the sky started to go dark. In the morning I went shopping in Banff town whilst Stuart and Kirsten got to experience Whitewater Rafting. I'm not interested in outdoor sports, so I was quite happy to potter about in the town and do some sightseeing. After they'd finished we met up for a picnic lunch in town, before driving further on towards Maligne Lake where we were going to pick up the Spirit Island boat tour. The boat tour ended in the late afternoon and we had pizza for dinner in Jasper town on the way back to Calgary. It was a 5 hour drive back and Kirsten was a trooper managing to keep going the whole way without stops, but driving back that evening meant that we could get a good night sleep in Calgary after a busy 48 hours. The edge of Banff is under an hour from Calgary so we didn't have to stay over when we visited the national park's famous sites. On our first day in Banff we stopped in Canmore: a town on the outskirts of the park, before hiking Tunnel Mountain and visiting the tourist hub that is Banff town. We ate dinner in town and then headed to the foot of Sulfur Mountain for the Banff Gondola, which is essentially a cable car that takes you to the peak of the mountain. We got to watch the sunset in the national park, before driving back to Calgary. 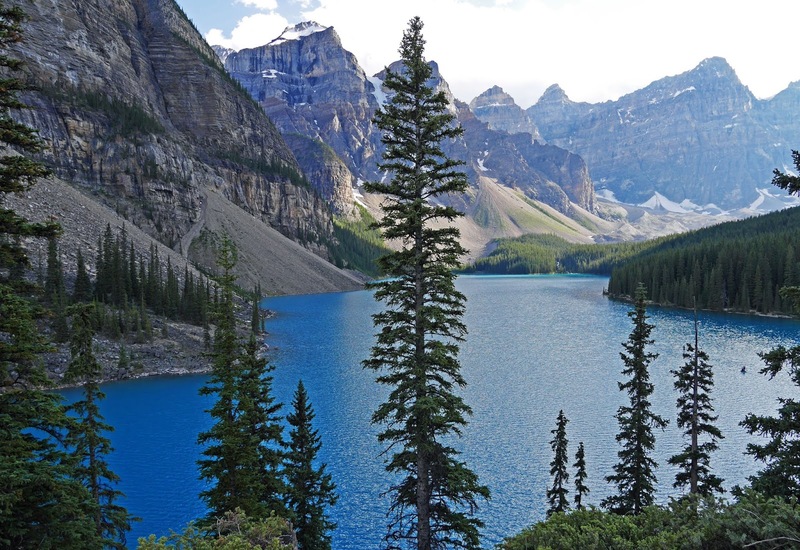 Day 2 in Banff was all about the big lakes: Lake Louise, Moraine Lake and Lake Minnewanka. We covered the first two in the afternoon and then stopped at Minnewanka in the evening after having pizza for dinner in Banff town. Lake Minnewanka was so quiet at the end of the day, you'd hardly believe it was a huge tourist hotspot. We were back in Calgary in the evening after a busy day exploring Banff's famous lakes. 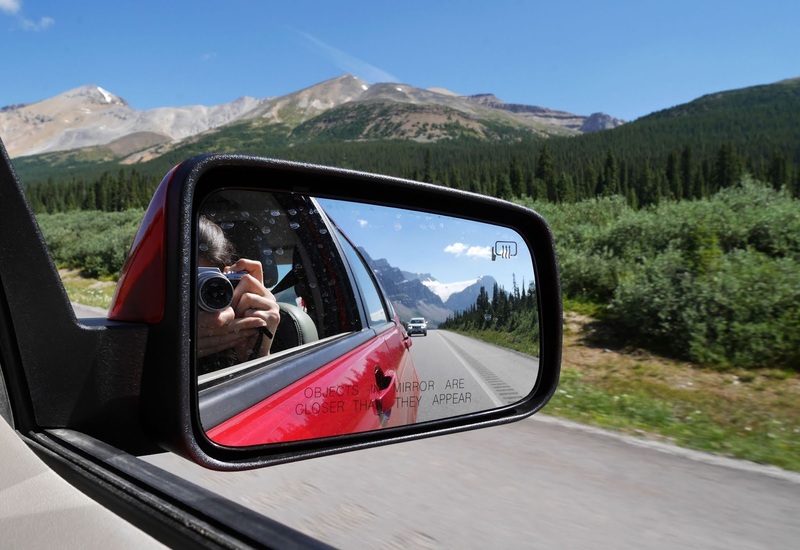 Waterton is the least popular of the 3 parks in the province, but driving there provided us with some unforgettable experiences. On route to Waterton we got to drive through Vulcan: Canada's very own Star Trek town and learn about local history at the UNESCO Head-Smashed-In Buffalo Jump World Heritage site. We arrived in the national park during the late afternoon and we set up our tents as soon as we arrived. 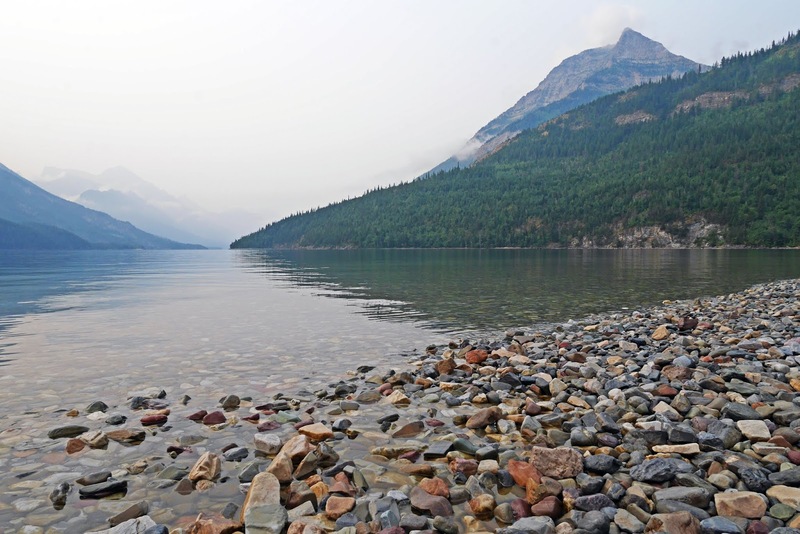 In the evening we took a boat from the edge of Waterton to Glacier National Park in Montana, USA so we wanted to make sure we were all settled into the campsite early on. After our boat trip we drank hot chocolates at the café in Waterton town and chatted about our brief visit to the USA. On our second day in Waterton we had waffles for breakfast at the park's famous waffle shop, before proceeding to hike up the Bear's Hump: a small steep trail in the park. The view from the top was incredible and it's probably where I got some of the best photos of the trip. After our walk we had lunch at a cafe in Waterton town before heading back on the road to Calgary. On the way home we stopped at Red Rock Canyon and the Frank Slide disaster site, which was a really thought-provoking experience. It's places like Frank Slide that we wouldn't have heard about if we didn't have a local tour guide showing us around. Last year we were fortunate enough to get to experience a whistle stop tour of Alberta's national parks. Although we crammed a lot into our schedule, we only just scratched the surface on some of the areas of the parks and it has definitely made me realise which of them I'd like to explore in more depth in the future. Banff in particular I'd like to head back to for longer and stay in one of the park's gorgeous lodge hotels. Alberta is such a fabulous province, which is full of places to visit. 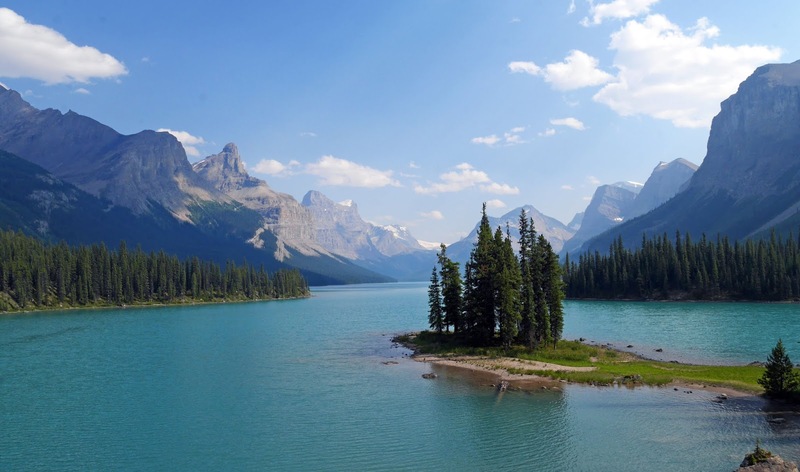 It's definitely worth heading out to Calgary and seeing what the national parks have to offer.